Continuing second part, in this part I discuss about applications on Debian KDE including how to run them from start menu, knowing application file format (.deb), finding more applications and install them, changing file type associations, and changing startup applications. 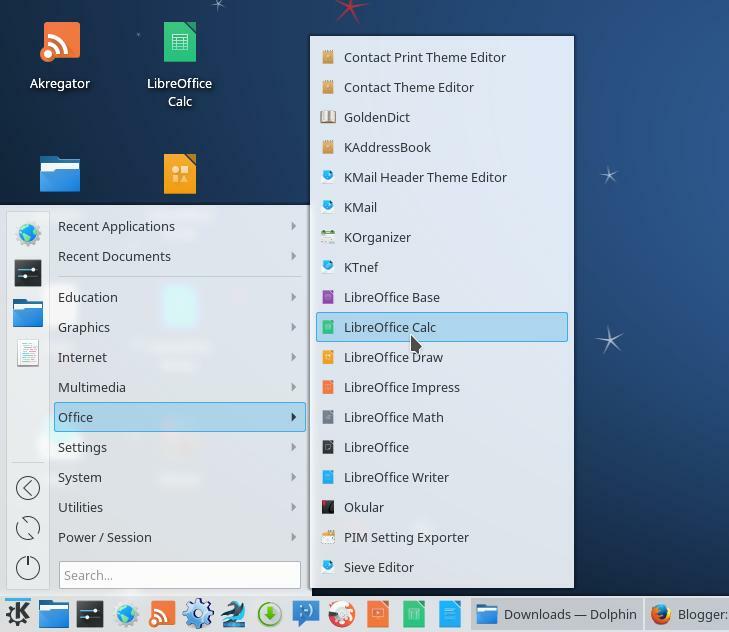 You are also able to put applications (shortcut icons) on desktop area and also on panel. I hope this part will help you a lot to manage applications. Enjoy! This is your start menu. Click the logo to open the start menu. Your applications are here. You can type the name to search or click through the categories of applications. 2. What Applications are Installed? 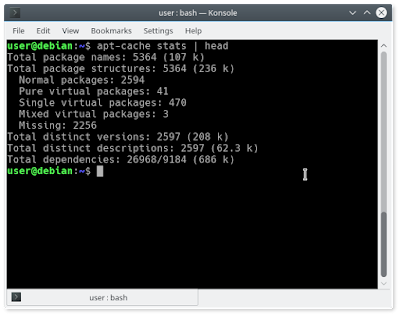 Debian gives you applications both in source code and binary code forms. 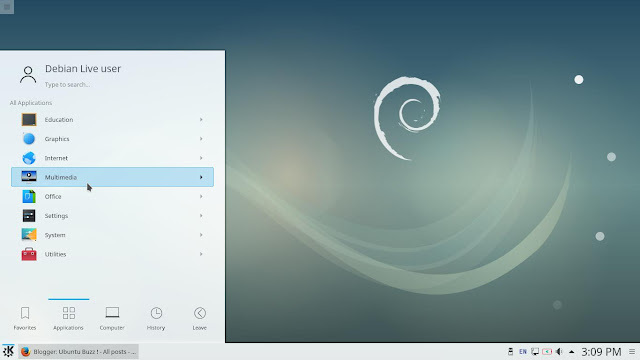 All applications distributed by Debian are stored in a place called repository. Installable (executable) application is in .deb file format. 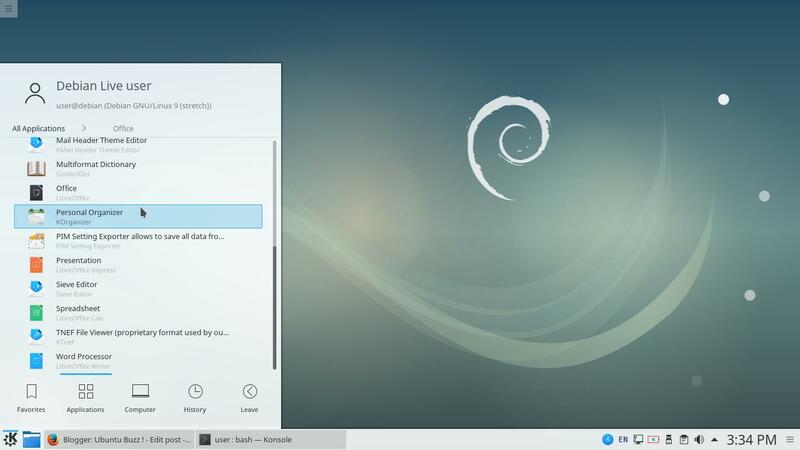 Normally, all Debian users will install software in this executable form. In contrast with Gentoo, for example, Gentoo only gives you applications in source code form, not in binary code form. This means in Debian all software are "precompiled" (already processed) by Debian Maintainers (we owe them); while in Gentoo the users themselves should "compile" every software. Anyway, .deb file format in Debian is similar to .exe in Windows or .dmg in macOS (although they are different in how they work). 4. What Applications are Available? So many. 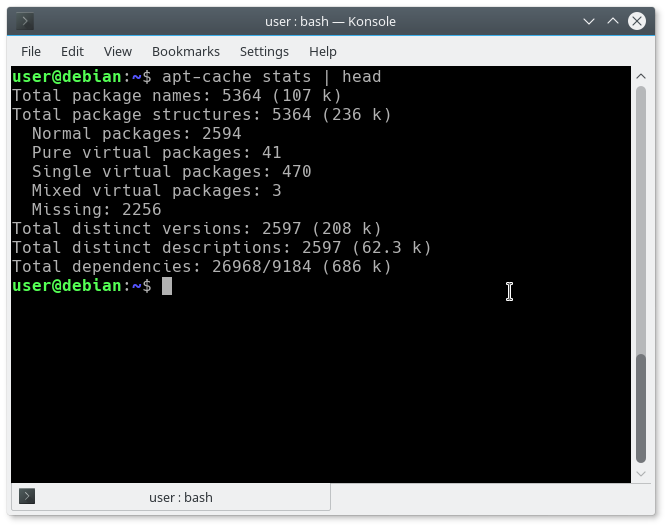 There are currently more than 10,000 packages in Debian prepared for you to install. All available gratis. 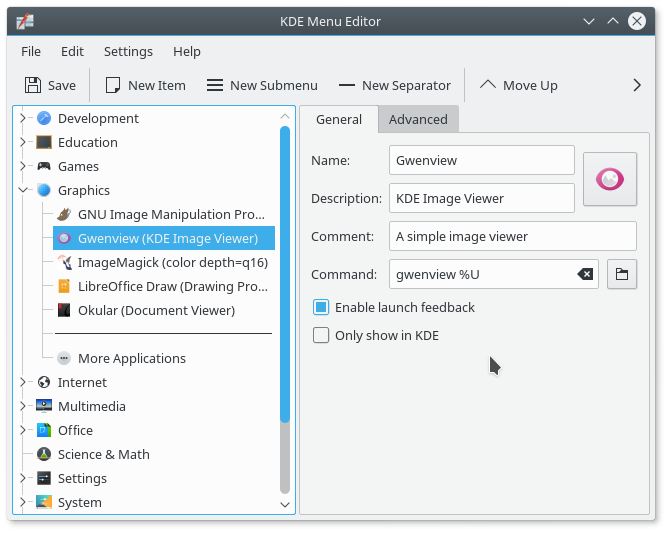 Right-click start menu > Edit > KDE Menu Editor showing. 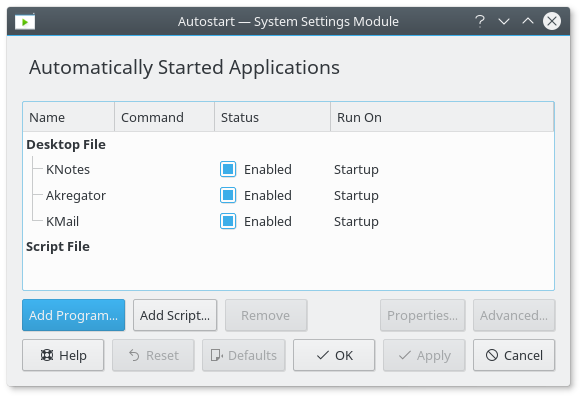 Debian KDE has a list-style menu too if you turn the start menu into "Application Menu". Select that from right-click start menu > Alternatives. See below. 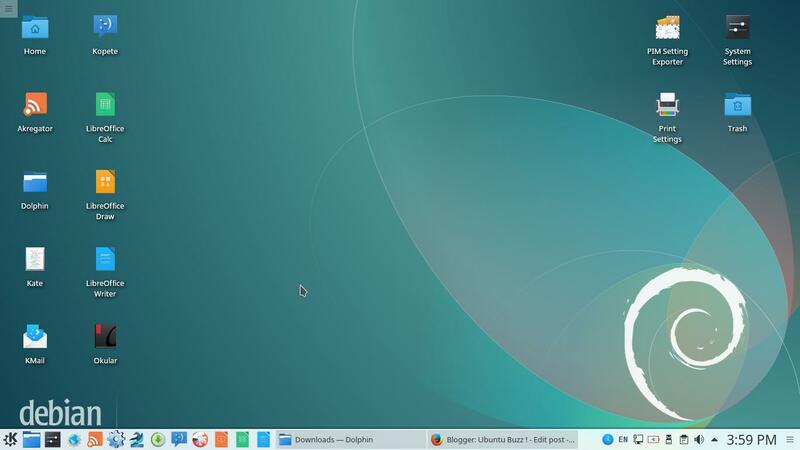 Debian KDE permits you to place icons on desktop area and panel. Fortunately, it's as easy as drag and drop; and you can also right-click and choose either Add To Desktop or Add To Panel from start menu. What you need to do first is changing desktop layout from "Desktop" into "Folder View" as this layout resembles Windows' and macOS' experiences. 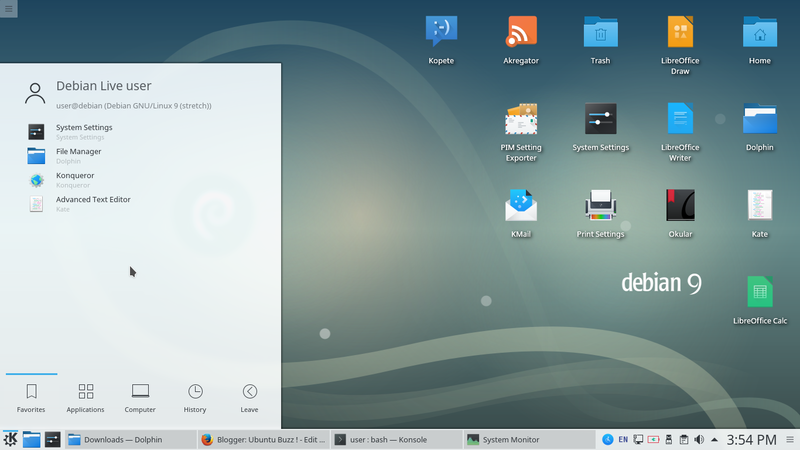 To change the layout, simply right-click on desktop area > Configure Desktop > Desktop Settings dialog showing > select Layout: Folder View > OK. Now try to add some applications to desktop area. Discover is the thing for you finding more applications and install them. You can find many, many kinds of them such as video and image editors, video games, download managers, useful utilities, even software development tools. When you start Discover for the first time ever, it will need internet access to download some MBs data. After that download session, you will eventually see Discover showing all applications. Find an application. 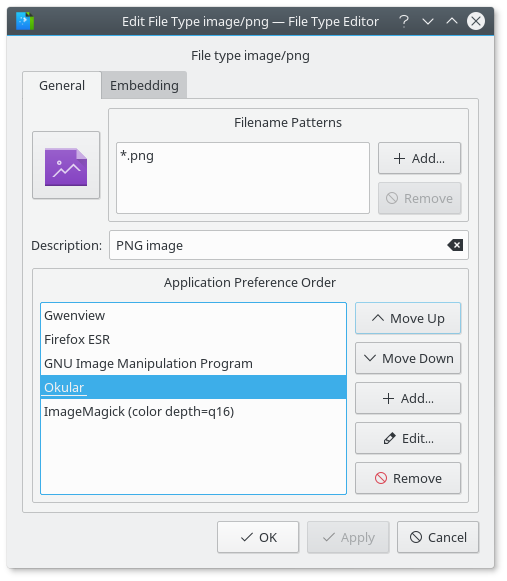 For example, keyword image manipulation will give you GIMP. Click "Install" button after the program name. 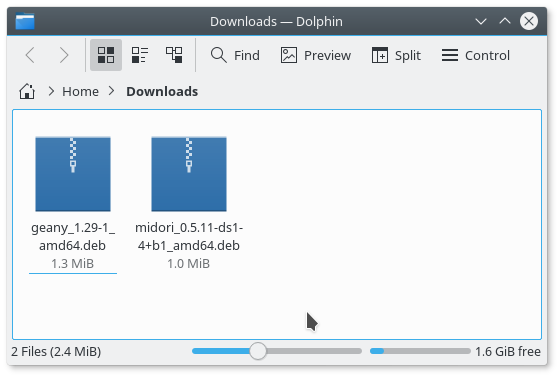 Discover will proceed the download and display you a progress bar. Finished installation will turn the Install button to Remove button. Find the installed program from the start menu. Read more about APT command lines here. By default, pictures open in Gwenview and mp3s open in juK. Every other file opens in their respective application. Do you know that these associations could be changed? Yes, you can, by right-click a certain file > Properties > File Type Options > Application Preference Order: move up your preferred one to the top > OK.
Do you know if system boots up with certain applications you can disable? Where to do it? Go to start menu and find Autostart. That's all. I hope you really can manage your own applications now. Next time I will discuss about controlling your system with generally needed things: editing the panel appearance, managing running processes, changing the language, and some others. Enjoy Debian KDE and happy working!